Mid of February and summers are here to hit Pakistan. We are all ready to see the lawn madness of women around us. Since last few years we have witnessed massive increase in LAWN fever. Every passing year the Lawn market is getting vast and many people embark upon this business. Lawn phobia has not only captured Pakistani society but the people living abroad as well. Pakistan is considered one the countries who had flourished rapidly in Fashion industry. We can analyze from past to present, Pakistan has excellent cotton material, for which it had been invaded so many times by foreigners. Now the designers know how they can utilize this material for the good of nation and their selves. Not only the women of Pakistan become crazy about Lawns, indeed they become, but another thing which should be mentioned here, if this lawn can be exported outside the country and we all can be in benefit. More revenue, more entrepreneurs and women will be established by starting their own businesses. Just wow. From 14 February Spring/ summer 2015 Lawn prints are introduced in Market. Junaid Jamshed is the first brand who introduced their Summer Prints Volume 1 before other designers. Nishat also made to stores and their lawn prints are available on both retail and estore. Elaan, Gul Ahmed and Zara Shah Jahan has uploaded their BTS images on Social media and people are waiting for their new stock desperately. Other than that Nishat Launched its summer prints. Keysaria is about to launch its new summer prints on February 16, Sana Safinaz are trying to get rid of their old stock and will be launching their new prints very soon. High street fashion brands HSY, Maria B., Sana Safinaz, ELaan, Crescent Lawn by Faraz Mannan, Asim Jofa, So Kamal, Omer sayyed, Kamiar Rokni, Zara Shah Jahan, Cross stitch and a lot more; are ready to hit the grounds with their exquisite photo shoots and unique prints. A lot more is coming on your way as the market introduces many new brands and designers every year. 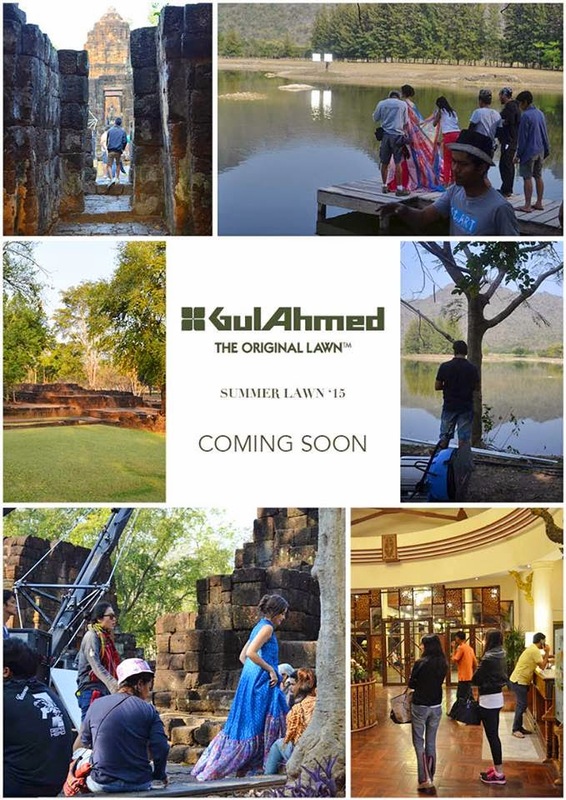 One more interesting thing which we all wait for is the photo shoots of these Lawn brands, people love to see what kind of shoot the designers had made and who are the models. Obviously they want to copy designs as well, but photo shoots also tell the success of any brand. Nishat, Keysaria, Gul ahmed, FIrdous textile, Al karam, Satrangi By Bonanza, House of Etihad and other well established textile mills will also be giving their best and unique because they know women belonging to all classes want best in least price. 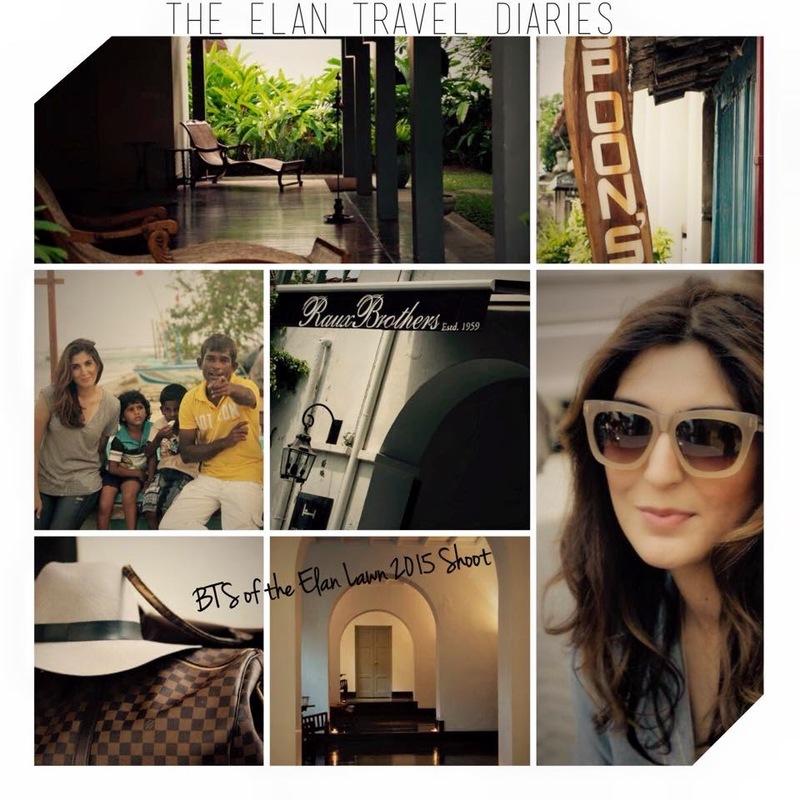 Well here are some glimpses of behind the scenes of some photo shoots.